Whether you need to cut back plant stems to encourage future growth or you’re pruning back over growth to create a clean look, secateurs are likely to be a vital piece of kit. They provide a simple, clean way of cutting back plants when delicate work is needed. When you need to work efficiently and effectively, our 120DX product is perfect for your needs. 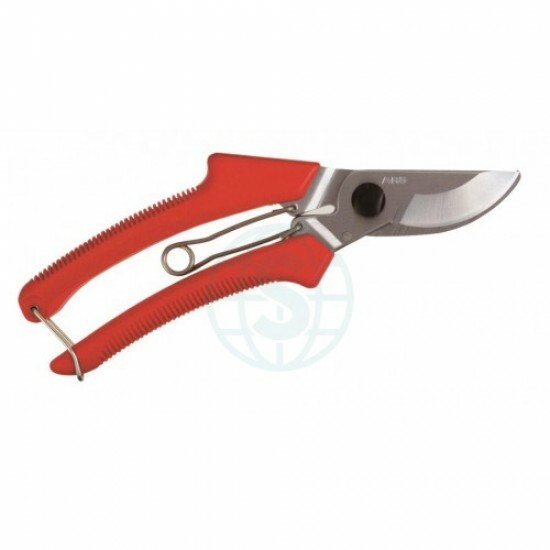 The hard chrome plating combined with the high carbon steel ensures that the secateurs are durable and strong. The blade is designed to cut as effortlessly as possible while still providing you with a sturdy, comfortable grip, essential for a tool that you could be using over long periods of time. The overall length of the tool is 195mm, making it handy while still providing you with the control that’s needed to complete tasks. Weighing 160g, you won’t have to worry about the weight becoming uncomfortable either, making it a great choice for all gardeners plus professionals.